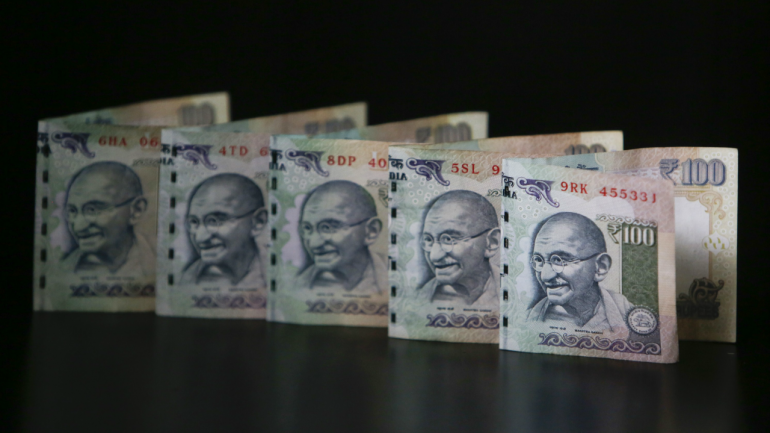 The Indian rupee is trading lower at 70.90 per dollar versus previous close 70.80. Rupee in the intraday session came under pressure after testing levels of 70.40 and closed the session at high point of the day. In the first half of the session, rupee rose against the US dollar after data showed inflation rose at a slower pace in January compared to the previous month, said Motilal Oswal. On the other hand, industrial production rose 2.4% in December compared to growth of 0.5% in the previous month. Today the rupee could witness some selling pressure after Saudi Arabia said it would cut crude exports and deliver an even deeper cut to its production. But gains were capped after EIA data showed crude oil stockpiles climbed by 3.6 million barrels in the week through Feb. 8. Today, USD-INR pair is expected to quote in the range of70.70 and 71.20, it added.